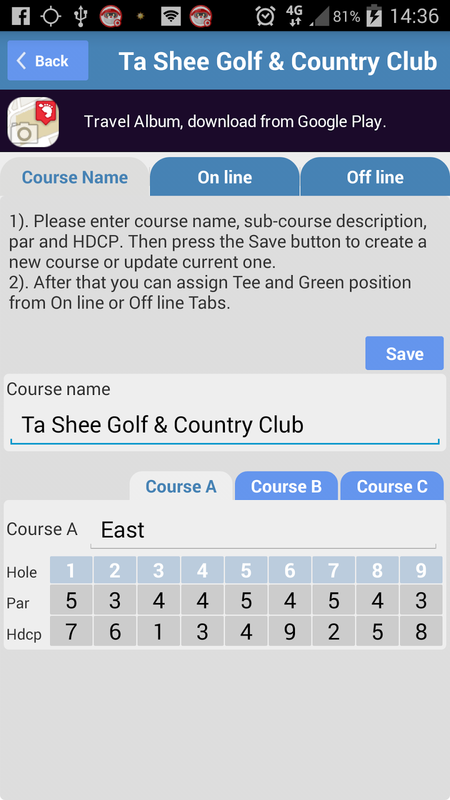 Enter course name, description, par and HDCP. 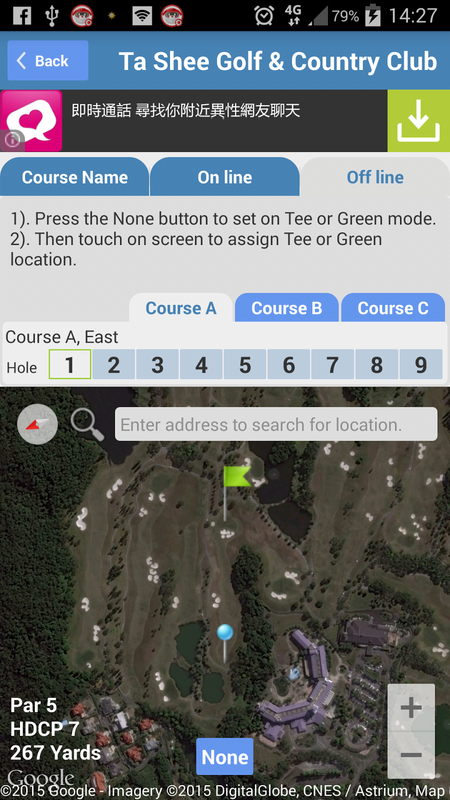 Enter address to search for the desired golf course location.Press the None button to set up for Tee, Green or None mode.When Tee mode, tap on the screen to assign it as the Tee position.When Green mode, tap on the screen to assign it as the Green position. When None mode (by default), do nothing. What's New (Version 1.5.0, 2015/03/?? 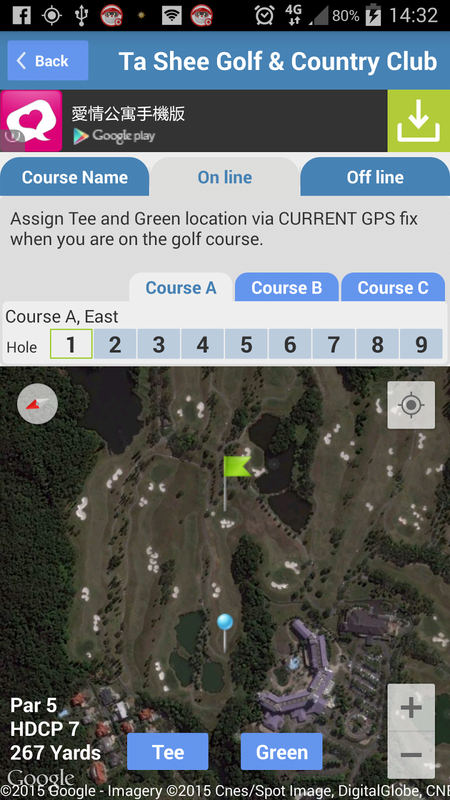 )Improve "My Favorite Courses", now can set up golf course and assign tee and green location "Off line"(no need on the golf course). Improve user interface.